Earn 87 points to spend on future purchases. FlexiFit Technology has been incorporated into the contoured Silicone Seal to allow a large range of nasal bridge movement and simple one step auto adjustment fitting. The unique Glider Strap provides freedom of movement while maintaining a seal. The crown strap and Under Chin Design provide extra stability and maintain a secure fit even with jaw movement during sleep. 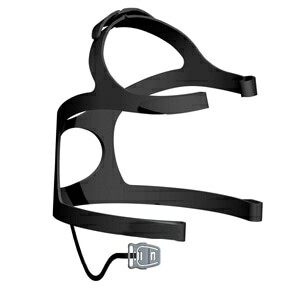 The Easy-Release Strap allows simple removal of the mask and the "Fit and Forget" Headgear ensures no on-going adjustments are required. The mask comes complete with the headgear assembled so it's ready to use! The mask comes with both a Silicone Seal (Small, Medium, Large or Extra Large) and a Foam Cushion (Small, Medium, Large, or Extra Large) so that you can achieve a more personalized fit. With Foam Cushion FlexiFit Technology automatically adjusts to a wide range of nasal and facial contours with simple one-step ease of fitting and no complicated adjustments. A maintenance free advanced air diffuser system prevents air from blowing onto the sleeping partner and decreases noise that could potentially disrupt sleep. 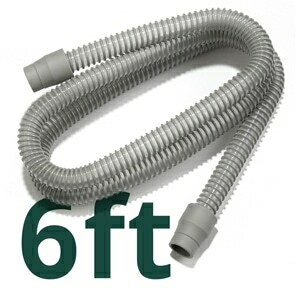 In the Package FlexiFit 432 Full Face CPAP & BiPAP Mask with Cushion, Seal and Adjustable Headgear. Not new to this product so I am impressed by how much cheaper it is to buy direct than to go thru insurance. They way over charge! And the service was excellent. I didn’t like the 3 piece mask. The mask leaked bad all night. I will be returning this product. The mask is comfortable and fits well. 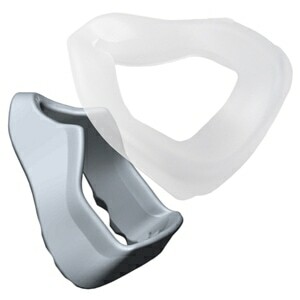 It provides a poor fit, to stop leaking and whistling, I have to have it so tight it biting into the bridge of my nose. I have allergies and I do open my mouth while I sleep so full size is the only option for me but finding a comfortable mask has been frustrating until my supplier gave me the FlexiFit 432 xlarge to try. This mask is by far the most comfortable out there hands down. Specifically around my nose which can get very sensitive at times due to my allergies. The only complaint I have is that when you adjust the to straps it tends to lift the chin causing a leak with any minor movement. Like another reviewer mentioned, they should have spacers you can add between your forehead and the top of the mask. I will be rigging my own to correct this. Other than that it is the best one out there. I have used the 431 mask but I developed a nasal bridge sore over the past several months. The 432 mask has the foam insert on the mask that is more comfortable on the bridge of my nose, but the mask leaked air with every move. Noticed that when tightening the mask, the forehead piece was lifted away from my forehead. I made a simple pad to place on my forehead, and it tilted the mask downward to secure the mask under my chin, and it stopped the leaks. I think it would be a good design idea to make forehead spacers that could be easily attached in a few sizes, like half inch or full inch. The sore on my nose is finally healing, so that is good. I came close to giving this mask a 1 star rating because of the head gear. The coupling is small and is somewhat hard to clip up when you are awake let along when you have to clip it while you are half asleep. The adjustment straps are a little more then paper thin and i broke my first one on my first attempt at adjusting it. I can not believe that Fisher and Paykell put this head gear on the market. The jury is still out on the mask itself. It appears that i ordered the wrong size and the new one is in route. I can not fault Direct Home Medical for this they were more than helpful with replacing my head gear. This full face was the ticket for me. I tried nasal masks which blew out my mouth like a tornado because I couldn't keep my mouth closed. It woke me up every night with a dry mouth. With this, I sleep like a baby, especially with this newer 432 mask that has an inner cushion. Flexi-fit 432 mask by Fisher and Paykel. I have found that this mask is the most comfortable. Allows me to wear it all night for a restful sleep. I ordered a medium which I have been ordering for the last three masks I have bought. This is way to large. 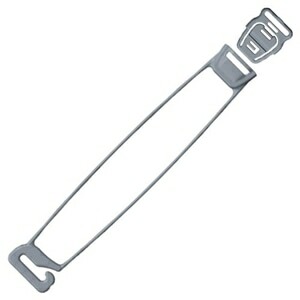 The forehead piece comes nearly to my scalp line and I cannot use the top strap because it is set above my head. Did not work for me. To many leaks, tried medium and large. I really like this mask It arrived quickly, faster than I expected Customer service was very helpful and courteous I first had the mask 431 and really liked it. It was very helpful that it had all 3 sizes of the silicone part. The most difficult part is to know which size to order for the 432. Having the 431 first let me know that I needed the medium size. Some other reviews I saw claimed they were able to use the other sizes as well, but I did not find that an option. 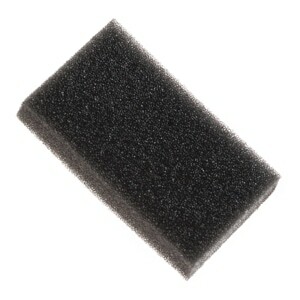 With mask 432 there is an insert of foam that helps seal the mask even better. When I first used the extra foam insert I loved it. Having gained some weight I now find it is better for me to not use the extra foam insert for now. I still prefer having the option of using the extra foam insert so will continue to order this mask. You need to know which size to order so you may want to try the 431 first. Then later get the 432 mask. Overall I would give this mask a good rating but due to my experience having a full beard, the mask simply does not seal around my chin. Its worthless until I decide to be clean shaven. I do think this would be comfortable mask with the headgear arrangement and mask seal including the foam. I have tried several different types of mask trying to get along with my CPAP machine. Pillows, nasal, and full face. Of all the mask I have tried this mask is the most comfortable I have ever worn. It does not require much tightening for a good seal and it is the only full face that does not hurt my face. The thing I like the most is fitting below my chin. The size is also is spot on. With the fitting guide it showed I needed a medium and that was the perfect size for me. I would recommend this mask to a friend. had this on before but having trouble adjusting the fit. During the night air leaks and make a snoring type noise. Tried several things got a little better. But the product is top notch. This is the best mask ever! Lightweight soft and an excellent fit! Finally after 3 others. I bought the Fleifit 432 to replace a new Resmed Mirage Quattro. The Resmend leaked no matter how tight you got it. I have had other Fischer Paykel masks before and liked the features. Unfortunately the medical supply company I got my new CPAP from only sells Resmed. So I went on line and started looking. Direct Home Medical had the best price and it was easy to see what you were buying. I am happy with the mask and the service I got from Direct Home Medical. I won't bother going to the local supply co. for my next mask. I will just order it from Direct Home Medical. too small in comparison to other mask of same size. Leaked most of night. Did not seal properly. Can not use What does flex fit mean? Actually no fit better description. Comfort is ok but even when extremely tight on face makes the awfullest loud noises out of the blue of any mask ever worn. After wearing for a week may have to go back to former mask so my wife can sleep. Big disappointment seeing the same style padded nasal mask worked so well. The fit was good and recieved it quickly. will order again. The Flexfit 432 full face mask is a great mask. It adjust on your face easy. You could get a mask that cost more, but it won't fit better than the FlexFit 432. THis mask did not fit it kept leaking.